In the Right Place: Blimey! Here, living amid yesterday’s ice crystals, is a Maine native that only those with the keenest eyesight have ever seen without help. 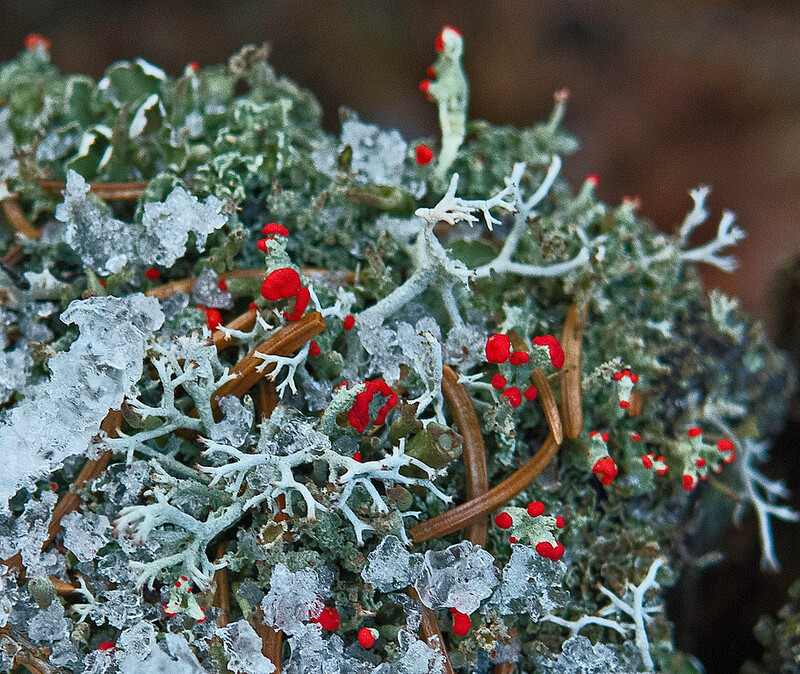 It’s a tiny fungus called British Soldier Lichen (Cladonia cristellata). Its name derives from a British military uniform immortalized in an old New England alarm: “The Redcoats are coming!” BSL stalks grow to about ¼ an inch and the red caps are slightly larger than pin-heads. Yet, this lichen is nibbled by White-Tailed Deer, Wild Turkeys, and other wandering salad lovers.